With just days to go to the BFI and Radio Times Television Festival's Ross Poldark: Old-fashioned Hero for a Modern World, we ask Press Officer Liz Parkinson some of your questions about the event. Poldarked: Will there be a chance for the audience to ask questions during the discussion? Liz Parkinson: I have been told there will be a short Q&A at the end yes. Probably ten to fifteen minutes max. P: Will there be an organised opportunity for fans to meet Aidan Turner for a picture or autograph? LP: Aidan won't be doing any pre-organised meet and greet, no. P: Will the event be videoed so people who can't come to the Festival can see it at a later date? LP: We have requested permission to film which is pending. If we get the go-ahead it will go online within about a week. Liz will let Poldarked know either way about filming the panel so be sure to check back here. UPDATE 3 April 2.10 pm: Liz has let me know that, sadly, the event will not be videoed. Ross Poldark: Old-fashioned Hero for a Modern World is 3.15 to 4.15pm on Saturday 8 April at the BFI IMAX, London. 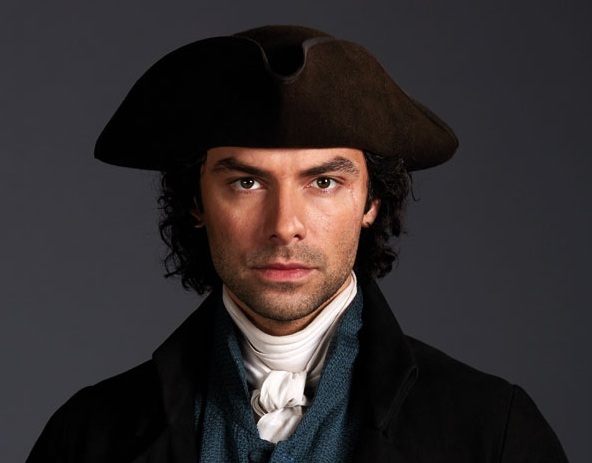 Aidan Turner (Ross Poldark) along with screenwriter Debbie Horsfield and executive producer Damien Timmer will talk about the show to Radio Times' TV Editor Alison Graham. A full programme of events can be found here.